Hi Julie, I want to take a moment to say thank you! With your hard work we were able to successfully close on Piedmont and my buyers are happy to be homeowners. I'm grateful to work with such a professional agent. Julie, Thank you for all that you've done for us! Awesome job selling the condo! Thanks again for everything, including the fantastic wine! Where do I even begin? Adam is absolutely the realtor you want to have on your side. I'm a first time home buyer and had a million questions, and he would answer every single one of them. He not only would commute here to Long Beach from San Diego for viewings, but he was able to help negotiate a great deal (beating out two offers) and I got the property! Not to mention we closed in less than 30 days! He responds quickly and keeps you updated on everything along the way. If you want an experienced realtor who goes above and beyond, I highly recommend hiring Adam. You will not regret it. I had an exceptional experience with Adam. He was extremely professional and responsive throughout the process, from listing to closing. He provided a detailed market analysis and we priced my townhouse accordingly. He held a very successful open house, which resulted in 3 offers by the following day. As this was my first home sale, I appreciated Adam's patience and attentiveness. He was accessible throughout the process and was very attentive to my questions. His expertise was obvious in negotiations, and ultimately, the house sold at full listing price. I believe we went from listing to pending in 5 days. His pre-sale net profit estimate was dead on, and the whole experience was extremely positive. I would strongly recommend Adam Boswell! Amy and I can't thank you enough for the work you did in helping us get our dream home. You're the bomb! You're patience and graciousness is truly appreciated. I am so glad that Lori introduced us to you. It was also, to us, more meaningful to have such an instant comfort level and bond with you personally, so thank you so much for making this part of my sister's affairs so painless. I really didn't have the emotional stamina for much effort in this endeavor anyway. Knowing this process was in your hands was a huge relief. Thank you. We still have some people in San Diego, and if the opportunity ever came up, I would happily refer them to you, and we would certainly enjoy working with you again. You are a breath of fresh air. I hope this finds you and your family healthy and happy. Wow, it's February already. Again thank you so much for all of your help and support. We can't express the gratitude we have for your assistance with our home sale. Thank you for being available to answer all of our questions and guide us through this process. We appreciate it! I just wanted to say thank you so much for your excellent and hard work in selling my rental property. You were amazing at keeping me updated and working with my property manager. I will not hesitate to recommend you to anyone looking to buy or sell property in San Diego. Thank you for helping us find our house! You're right-there is a house out there for everyone. We are very happy with how everything turned out. You were the neutral person we needed to make sure we didn't drive each other crazy! Your patience throughout the many phases of this process, and your many years of experience were invaluable. See you at the housewarming party! We have used Initiative Real Estate and Julie Farr three times over the past 6 years, so to say that we are satisfied with Julie's work would be an understatement. Julie's innate ability to understand our needs and requirements was priceless when purchasing our home, as was her experience, knowledge and planning when we sold. 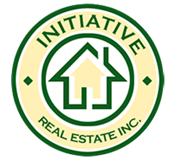 We highly recommend Initiative Real Estate. 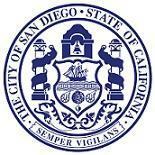 The City of San Diego appreciates the professionalism you and the members of your company provided in the residential land in the Mission Hills area of San Diego. Your knowledge of the market, marketing expertise and transaction expertise allowed the City of San Diego to sell the property in a short time frame at a market value. Please feel free to use me as a reference for future clients. We look foreward to working with you again in the future. We had no idea how to approach buying our first home, but Julie at Initiative Real Estate held our hands through the whole process. She provided amazing insight into the different neighborhoods and helped us identify an community that best fit our needs... and our price range. Julie took what we imagined to be a frightening and overwhelming experience and turned it into a great one! Five years and 2 houses later, I wouldn't dream of using anyone but Initiative Real Estate. In fact, I refer all my friends and co-workers to Julie because I know they will be handled with loving care. At Initiative, you're not a client, you're a friend. Dearest Julie: Words can't express our thanks to you for all of your hard work and patience. You are truly a blessing to our family. We enjoyed your great smile and wonderful accent, and most of all your friendship. Many thanks! We wanted to thank you from the bottom of our hearts for all of your hard work and motivation in helping us sell our condo and buy our new home! You have been such a pleasure to work with; you always maintain your sense of humor and patience. Thank you for always going the extra mile for us! You are very talented at what you do and make the process enjoyable for everyone. We will always recommend you to anyone and everyone in need of Real Estate assistance and we look forward to working with you again the next time around! Dear Julie: Working with you to sell our home was a delightful experience! Your take charge attitude coupled with your ability and desire to keep us in a comfort zone, minimized the stress of selling our home of 20 years. We admire your flair, your incredible attention to every detail, your clear and precise explanations and the importance you place on ethical considerations. You are easily one of the most professional people in any business we have dealt with. With you in charge, we were both very comfortable leaving the state before the close of escrow. I am sending you a note of appreciation for the most excellent service! Thanks for making the home buy as easy as it could be! You are a rare find and I'm telling everyone where to find you. Thank you for helping us buy our 1st home! You made a scary and stressful experience much easier than we thought it could be. We had a great time on our adventures in house hunting! Words are not adequate to express our gratitude to you for all that you have done during the 'search'period and your support and advice in dealing with the builder and finalizing the paperwork. Thank you again for 'all'. I just wanted to send a note to you expressing my satisfaction with the service I received from you and Initiative Real Estate on the sale of my condo. Your calm, efficient manner made it that much easier an experience for me. Your concern for detail and follow-up was very refreshing! I always felt informed and confident that things were progressing as they should be. I have recommended you to several friends. Thanks again for the great service! We would like to express our appreciation for a job well done in assisting us in buying our new home. We enjoyed working with such a knowledgeable and efficient broker. If the need should arise in the future, we would not hesitate to contact your company. We found Julie through a referral and have now worked with her twice, once to sell and once to buy. What an incredibly lucky find, a Broker with experience, education and professionalism. She truly is a shining star! We have already referred several of our friends. Just wanted to say thank you once more for all you did for us in getting Hamilton sold. We could not be more thankful for being so on it, guiding us through every step of the process. If we can ever provide a reference or do anything let us know!! You have been so delightful to work with. Thank you for all your hard work! Okay, maybe it's a little odd that the client gets the agent gifts at the close of escrow, but sweetie, you more than deserve it. Although it has been pretty hellish selling my little house, I couldn't have imagined going through it with anyone else. Julie, you are a true asset to your profession. Thank you for everything, most of all your friendship. You're truly a beautiful person!